“Unconscious bias” is a workplace term we often hear discussed these days by HR professionals and legal experts. 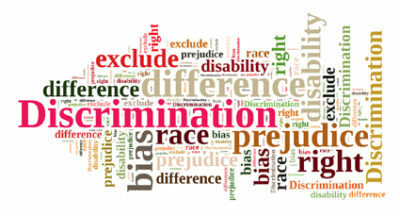 Many people are unsure of the exact meaning of this term or they think it is some new age concept or perhaps the latest buzzword describing a new form of discrimination in the workplace. Actually, it’s neither. The fact is, unconscious bias is present in all of us and it has been around for as long as humans (and workplaces) have existed. Conscious Bias– explicit bias that the individual is aware of and is based on past experience. The individual recognizes that he or she is acting with a biased belief. Unconscious Bias– implicit bias in which the individual lacks awareness, and is based on past experience. The individual believes he or she is being fair or unbiased; however, if taught, the individual can learn to recognize the behavior. Types of Unconscious Bias includes bias on the basis of age, socioeconomic status, race, gender, ethnic background, or religion. How Unconscious Bias is Developed: life experiences, cultural factors, diverse environments (exposure or lack of exposure), social environment (family, friends, school, past jobs), media, politics. Types of People who have Unconscious Biases: everyone–including judges, politicians, referees, law enforcement, teachers, drivers—and all employers and employees. Micro-aggression and bullying also are forms of bias, both conscious and unconscious. Bullying is often affiliated with power and is harder to define but generally is considered unequal treatment where one employee puts pressure on another employee. Defining bullying may be tricky, but most of us know it when we see it. Micro-aggression, on the other hand, is a more subtle form of bias that can be pervasive in the workplace but is not always easy to recognize. Described by Chapman as subtle insults, micro-aggression may include a verbal or nonverbal exchange that comes off as hostile or derogatory to a specific person depending on their social group in the workplace. For example, telling an immigrant “you speak really good English,” or when a male employee says “you should smile more!” to a female co-worker. Chapman says these behaviors show up in all areas of the workplace, including recruitment, hiring, promotions, terminations, etc. As per the final action above, Chapman recommends that both employers and employees use the online tests that are available to determine what unconscious biases they may have. Since our unconscious assumptions impact almost all parts of the workplace, being aware of the forces that dominate our choices in these roles is an important step in identifying hidden biases and eliminating them. The goal, Chapman says, is to institutionalize anti-bias conduct. 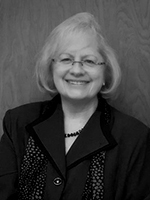 Nancy R. McDermott has more than 17 years’ experience as a legal writer and editor. She writes and edits the federal Personnel Advisor manual and several state Personnel Advisor manuals and newsletters and is responsible for the design, development, and data maintenance of the Personnel Advisor HR website. She has also worked as a Court Watch Research Analyst for Texas Watch, a grass-roots organization, and for the Texas Legal Services Center, conducting legal research. Nancy earned her Bachelor of Arts degree in Criminal Justice from the University of Texas at San Antonio, and her law degree from Vermont Law School.